VIDEO - KBRA-KHSA Governors Task Force Meeting at OIT in Klamath Falls 9/19/13. The editor put public comments (including Rex Cozzalio, Dennis Linthicum, Bob Davis, Richard Marshall, John Menke, Allen Ehr and others) at the beginning of the film, which were actually last. Videographer captured the officials and KBRA proponents visiting while the public gave input to this committee of mostly environmentalgroups, Indians and government agencies, and two ranchers from Oregon. Decisions made by this selected committee could mean life or death to concerned resource users and their communities. Mr. Ehr tells of deaths from dam removal in Oregon from the same toxic sediment as found behind Klamath River dams. VIDEO - An alternative Klamath Task Force, interview by Jefferson Public Radio with Tom Mallams, Klamath County Commissioner, posted 10/10/13. VIDEO of Governor's final Task Force meeting to implement the KBRA/KHSA re: Klamath River hydro dam removal, 12/3/13. 127 minutes. The Upper Klamath Basin Comprehensive Agreement, by Oregon Senator Doug Whitsett, posted to KBC 5/16/14: "Many farm and ranch owners... were advised that most who refused to sign would no longer be allowed to use either their surface or groundwater rights in most years. Many of those water rights date to 1864 priority. They were further advised that those who refused to participate would likely be subject to severe ...."
Threats (by Klamath tribal members) delay tribal meeting, H&N 5/16/14. "...some Klamath Tribes members have been campaigning to organize a hostile takeover of the meeting. Threats included chaining and padlocking doors to force the Tribal Council and meeting attendees to remove Gentry from the council and to overturn the results of a recent referendum vote. The referendum vote under attack was certified by the Klamath Tribes election board as in-favor of a water settlement, known as the Proposed Upper Klamath Basin Comprehensive Agreement, between the Tribes and upper Basin irrigators." KBC NOTE: Upper Basin irrigators were not allowed a vote; they were only blackmailed as explained in Senator Doug Whitsett's newsletter. Klamath water-sharing agreement gets funding, Sacramento Bee, posted to KBC 5/3/14. Protesters interrupt ceremony, Not all in agreement with new water pact, and Two groups weigh in against accord, H&N 4/19/14. KBC NOTE: Siskiyou County supervisors, home of 3 hydro dams planned for destruction, oppose the KBRA/dam removal agreements, Siskiyou citizens voted against the agreements, and Klamath County voted in 3 county commissioners, the state senator and state representative who all oppose the agreements. Historic pact to be signed Friday, H&N 4/17/14. Freedom of speech is key when talking irrigation, by Bruce Topham, Sprague River letter to H&N, posted to KBC 4/15/14. "This is what is currently being demanded of those of us who are ranchers in the north half of Klamath County. A foreign sovereign government (aka the Klamath Tribes) is requiring that for any water settlement to be met for irrigation or drinking water for our livestock we must surrender our right as Americans to express any opinions contrary to those advocated by the Klamath Tribes..."
Protesting the vote; Klamath Tribal members demand a new vote, H&N, posted to KBC 4/15/14. Klamath Tribes approve water pact, H&N, posted to KBC 4/15/14. "A $40 million economic development package for the Tribes...the Tribes also would receive $1 million a year for five years from DOI to care for tribal transition needs this year." (Klamath) WATER PACT - Complexity frustrates some Tribe members, vote due by Wednesday, H&N 4/8/14. AUDIO: Must Listen: 5 1/2 minute summary of Upper Basin's Klamath Settlement Agreement; audio by Oregon Senator Doug Whitsett, Local News with Paul Hanson on KFLS News/Talk Radio 1450, 4/1/13. "The nearly 100-page agreement has seven objectives..."
Freedom of speech is key when talking irrigation, by Bruce Topham, Sprague River letter to H&N, posted to KBC 4/9/14. "This is what is currently being demanded of those of us who are ranchers in the north half of Klamath County. A foreign sovereign government (aka the Klamath Tribes) is requiring that for any water settlement to be met for irrigation or drinking water for our livestock we must surrender our right as Americans to express any opinions contrary to those advocated by the Klamath Tribes..."
AUDIO - Dr. Mike Newton and Senator Doug Whitsett, begin minute 30, I-Spy Radio 4/8/14, on Science of Upper Klamath Basin ranchers being denied surface and ground water with no proof of interference to stream water, yet studies support that groundwater use enhances stream flow. What is the government's excuse? KBC NOTE: If the Upper Basin irrigator does not agree with the Kitzhaber Task Force plan, they will be denied surface and groundwater to irrigate. 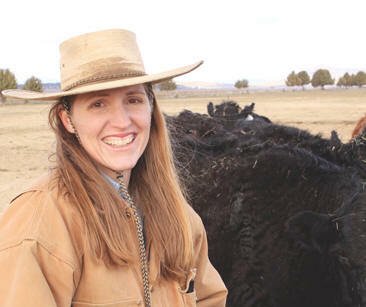 Klamath Upper Basin Proposed Settlement, by Erika Bentsen, March 20, 2014, Western Ag Reporter. "On March 4, 2014, the Proposed Upper Klamath Basin Comprehensive Agreement was finally revealed to the public after six months of closed door meetings with the settlement negotiators kept under strict gag orders...the wording is such that NOTHING promised to the ranchers is concrete...45 million dollars will go to the Klamath tribes to help them be "self-sufficient. "...There are provisions included for taxpayers (who were not included in these private meetings) to purchase timberland for the tribes to replace the reservation they sold. In addition, there is a jobs program (Section 2.6) exclusively for the tribes "related to implementing this Agreement in the Off-Project Area," which can be interpreted to read that tribal members might be paid to monitor or enforce regulation on the privately owned land in the valley...If the landowner is found at fault, he must pay their expenses, and there is specific wording allowing the tribes to go after the landowner themselves... Ranchers feel they are being punished for doing nothing more than buying the land when the tribes sold it and continuing to irrigate it like the tribes were doing when they owned it. Unfortunately, since the state and federal government have openly aligned themselves with a sovereign nation against its citizenship, the ranchers have no place to appeal regarding this injustice..." KBC NOTE: KBC News was told by several Upper Klamath irrigators that they were told, in closed meetings denying any media or tape recorders, that they would be prohibited from using their personal irrigation wells if they refused to sigh this "voluntary agreement." (UN) Agenda 21 Takeover in the Klamath Basin, by Barbara H. Peterson 3/26/14 Farm Wars. Ranchers grudgingly accept Klamath water-sharing pact, Capital Press, posted to KBC 3/18/14. Historic water pact; Tribes, irrigators settle divisive issues. $40 million will be given to the Klamath Tribes to create jobs, H&N 3/6/14. Includes schedule of meetings. "The Klamath Tribes will be allotted $40 million to establish an economic development plan and revitalize regional industry, including taking ownership of the 92,000-acre Mazama Forest as a condition of the KBRA. The Tribe also will receive $1 million annually from the Department of the Interior for a five-year period...Once a landowner has agreed to permanently retire rights, the government will have discretion whether to purchase the right or not....Tribal members will vote whether or not to accept the agreement...no general vote will be held to approve the pact (for non-tribal members)." Ranchers, tribes reach deal on Klamath Water, Redding Record Searchlight 3/5/14. "Ranchers face an even tougher year this year, because with drought continuing and another irrigation shut-off likely, many no longer have any cattle to sell, added rancher Andrea Rabe"
Lawmakers hear (Klamath) water pact update, Rep. McLane reviews Cover Oregon, LaMalfa votes against omnibus bill, H&N 1/24/14. "If approved by the Klamath Tribal Council and a host of irrigators, the AIP will become one component of proposed legislation that will cover the upper Basin, the Klamath Basin Restoration Agreement (KBRA) including on-project irrigators, and the Klamath Hydro Settlement Agreement with PacifiCorp, which may involve removing four hydroelectric dams on the Klamath River..."(Rep. Whitsett) said OWRD has listed more than 200 groundwater irrigation wells that may be shut off if the Tribes, which have time immemorial rights, make a call on the water." Klamath Water Settlement deadline missed, H&N 2/14/14. "If approved by the Klamath Tribal Council and a host of irrigators, the AIP will become one component of the proposed legislation that will cover the upper Basin; the Klamath Basin Restoration Agreement (KBRA) including Klamath Reclamation Project irrigators and the Klamath Hydro Settlement Agreement with PacifiCorp, which may involve removing four hydroelectric dams on the Klamath River." Upper Basin water pact deadline this Friday. Groups near final agreement; next step is bill for Congress, H&N 1/14/14. "Some landowner participation is expected through reduction of agricultural water use by 30,000 acre feet. The reduction will be in the form of permanent buyouts, or “retirement,” of some upper Basin irrigators’ water rights along the Williamson, Wood and Sprague rivers...the tribes said they will reduce the minimum level of water they require in rivers above the lake to protect fisheries in return for participation by landowners in riparian area restoration. " KWUA, officials review pact, H&N, 12/14/13. "Conditions of the AIP include reducing agricultural water use by 30,000 acre feet through permanent buy out, or “retirement,” of some upper Basin irrigators’ water rights. Jerry Jones, who owns 20 acres in the upper Basin, said irrigators who are not in desperate financial straits are unlikely to sell their water rights or vote in favor of the AIP. 'Not everybody has a gun to their head. It’s not going to work,' he said." KBC NOTE: according to the last Task Force meeting, the permanent downsizing of water rights is "voluntary." However, if they do not agree to the terms of the KBRA/dam removal/tribal land acquisition mandate, then they probably will continue to have their off-project water shut off like they did this year. Local groups work to lower irrigation costs, H&N, 12/12/13. "But even if the rate was locked in at the current low federal price, it would not be the final cost to consumers. “Some of the preliminary analysis is showing costs are higher than anticipated,” said Klamath Basin Task Force facilitator Ed Sheets. The tier rates are wholesale prices and only cover costs to deliver the electricity to a substation in Malin. Once power reaches Malin, it will be transmitted along cables and infrastructure owned by Pacific Power, meaning the company can tack on additional metering charges. Even though the charges may only be pennies, they could drive the new price near what irrigators pay now, according to Greg Addington, executive director of the Klamath Water Users Association." ... "The KBRA and the related Klamath Hydroelectric Settlement Agreement seek to establish reliable water supplies and affordable power rates for irrigators, restore fish habitat, help the Klamath Tribes acquire the 92,000-acre Mazama Tree Farm and remove four dams on the Klamath River." Task force work winds down; Power costs left unresolved Basin water dispute close to settlement. Deal between Tribes, irrigators key to legislation H&N, 12/4/13. "initial estimates for the Bureau of Reclamation (BOR) delivering inexpensive power to off-project users may not be as cost effective as planned....“We do not have and will not have this worked out for a year or two before we know exactly what the final solution will be,” he said...the tribe also hopes to acquire a 92,000 acre Mazama tree farm for economic development, which would be funded by the proposed congressional legislation. Early last summer, the tribe called for its water right, forcing the shutoff of hundreds of water users in the upper Basin. About 100,000 acre feet of water was shut off. The economic impact of that was estimated to be up to $500 million annually..."
FINAL Report and Recommendations from the Klamath Basin Task Force to Senators Wyden and Merkley, Congressman Walden, and Governor Kitzhaber 12/3/13. Task Force received this report 12/2/13 and had one week to give input. The public did not receive final 'draft' before 12/3/13 to comment on. (Klamath) Task Force back online, resumes operation with government; next meeting date not yet determined, H&N 10/18/13. (Klamath and Siskiyou Counties are not at the table, and are not in agreement, with the KBRA dam removal agreements). An alternative Klamath Task Force, interview by Jefferson Public Radio with Tom Mallams, Klamath County Commissioner, posted 10/10/13. Government shutdown forces (Wyden's Klamath taskforce) group to delay, 10/8/13. "...they have been negotiating a water settlement under a confidentiality agreement..." KBC NOTE: No elected county officials from Klamath or Siskiyou are at the table of this Klamath task force dam-removal agreement. Klamath and Siskiyou Counties are forming a task force based on the will and solutions of their constituents in a transparent process. "Siskiyou and Klamath County working together on common issues is not in any way an effort to hinder Senator Wyden’s task force from achieving a comprehensive settlement on water issues plaguing the Klamath Basin. The exact opposite is true! I believe both Counties desire to work in concert supporting a viable comprehensive water settlement for the entire Klamath Basin. I have and always will advocate for this elusive viable settlement that is absolutely critical for our economy. I truly appreciate Senator Wyden’s efforts and look forward to actively supporting a community supported solution. Working together as duly elected officials, both here locally and in Washington D. C. toward common, achievable goals, is always the desired direction. I continue to value the relationships built up over the years with our many local, state and federal partners in office." KBC Photo. NEW KLAMATH TASK FORCE being created by Klamath County Commissioners and Siskiyou County Supervisors. 10/1/13 - KBC editor Note: I attended this joint public meeting of Klamath County Commissioners and Siskiyou County Supervisors. The focus was on common sense solutions to the basin's water, power and natural resource problems. Pages of well-documented solutions, and also alternatives to dam removal, compiled by three counties, were presented to the supervisors and commissioners. Klamath commissioner Tom Mallams expressed hope that Oregon Senator Wyden's task force would include these elected officials (many felt Wyden denied them a place at the table because they oppose Klamath hydro dam removal) to work with Wyden's group in forming solutions in a transparent process. This meeting of elected county representatives was proactive and intent on working together on their new public-supported task force where the public, tax payers and rate payers, will have a voice. KLAMATH BASIN TASK FORCE MEETING: Water, power, KBRA costs on the table; Final session for task force Thursday at OIT , H&N 9/17/13. "task force’s final meeting...will be from 1 to 5 p.m. Thursday at Oregon Institute of Technology’s Mazama Room." Focus on who was not invited to water solutions, James Finses, posted to KBC 8/4/13. "On the invite list are the following special interest groups: California Trout, Waterwatch of Oregon, Oregon Wild, Sustainable Northwest, American Rivers, Klamath Tribes, Yurok Tribes, Karuk Tribes, and Hoopa Valley Trial Council... voters like you and me are not invited. In both Klamath and Siskiyou counties, voters elect the county boards of commissioners or supervisors to represent the voters. Where are they on the list of invited stockholders?" Klamath Basin task force to meet Aug 1 in Klamath Falls, H&N, posted to KBC 7/22/13. KBC NOTE: Tulelake Irrigation Manager and an assistant have not been informed of the Klamath Basin task force meeting Aug 1 and said they are not involved, so we have no confirmed details. We heard rumor that this is at OIT Thursday Aug. 1, and open to the public. (Oregon U.S. Senator) Wyden calls for new basin-wide solution to Klamath water issues, Wyden Press Release 6/20/13. Wyden invites comments (by June 19th) on water management in Klamath River Basin / KBRA, Democratic News, posted to KBC 6/15/13. KBC: the Senate hearing on the controversial KBRA/Klamath Basin Restoration Agreement / and KHSA/Klamath Hydroelectric Settlement Agreement is June 20th. Email your comments on water management by June 19th!